Acclaimed director Craig Hall called me from Alberta to talk about his experience directing Faith Healer at the Shaw Festival this season. 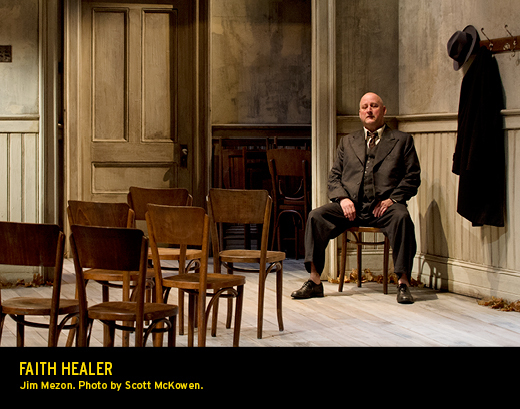 Written by Irish playwright Brian Friel, Faith Healer is the story of a man, his love, his manager and his gift (to skim the surface). The text is elusive, complex and haunting. I spoke with Craig about direct address, rehearsal process and personal truth. “Friel sent us a letter at the very beginning. It was waiting for me in my mailbox: written with an old manual typewriter with little cross outs in pen. You could only get in touch with him by fax. I fax-ed him saying I had a lot of questions. He faxed me back and said I don’t have any answers,” Craig laughs as we begin our conversation. The structure of the show is deceptively simple: four sections, three characters, direct address and pure storytelling. It was the simplicity of one actor and an audience that drew Craig in to the piece. That and the complicated overlapping narrative structure. And though Craig had recently taken over a theatre company in Calgary, the fantastic writing helped make his decision. With such an intense script, I inquired about the rehearsal process. “It was pretty straightforward. And yet there’s no interactions between the actors [on stage] yet they have lived twenty years together. I had a lot of ideas in my mind about a complex rehearsal process but the actual structure of the rehearsal process didn’t work with that. We went through [the script] and scheduled in such a way that we touched on them [Jim Mezon, Corrine Koslo and Peter Krantz] all individually and kept them at the same pace. We let them have their own individual process but we wanted them to be moving through the piece at a similar speed. Over the course of a month and a half, I would bring them every seven days into the room together to run through the whole piece so they could hear each other’s stories. You never wanted them to forget that their truth wasn’t the truth of the others. They embraced it and railed against it based on what their experience was. They wanted to love each other and be together [as a cast] but still it [the show] was so individual. There are many challenges in a monologue play and we discussed the fine line between directorial and playwright decisions for staging. The play often had been produced on a mostly bare stage with perhaps the addition of a curtain at the back. Craig wanted to “put the story in a place that was charged with their history. Some people liked it, some didn’t. Jim [Mezon] said I get it, it’s a bare bones version of where they spent their lives while the other two [Corrine and Peter] were more literal. 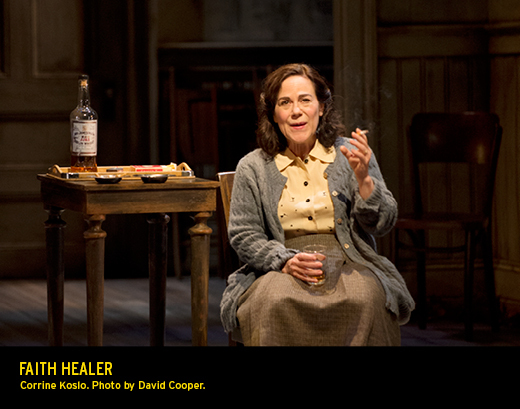 [The set] is a place for remembering.” He praised lighting designer Bonnie Beecher’s talents. She crafted a beautiful sequence at the top of the play of sunlight traveling from morning to night, spilling in the windows and marking the passage of time. She drew inspiration from Edward Hopper’s painting. 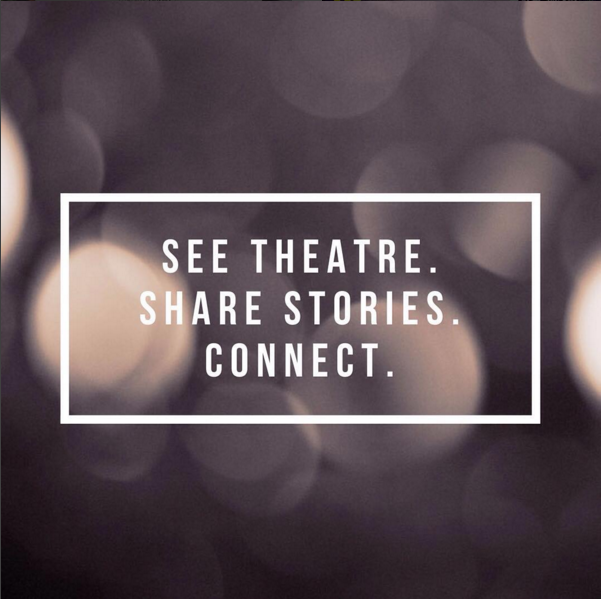 For more information and tickets, check out the Shaw Festival Website. 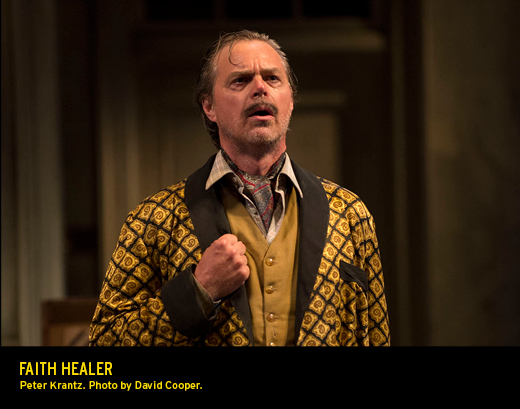 I was fortunate to see The Faith Healer at the Shaw Festival on 7/11/13. It was an experience I will never forget and I often find myself thinking about the story. The acting was haunting and unforgettable. I hope I have the opportunity to see this again, as it moved me more than any other theatre production I’ve seen to date.